Researchers and scientists have agreed that table tennis is the best sport for your brain. This fast-paced game is challenging and equally rewarding. Clinical Neuroscientist and Psychiatrist Dr. Daniel Amen calls table tennis “The Best Brain Sport.” In a book entitled Making A Good Brain Great: The Amen Clinic Program for Achieving and Sustaining Optimal Mental Performance, Dr. Amen explains how the body’s main organ can benefit from a friendly game of table tennis. Dr. Amen explains that regular exercise boosts hormones in the body that keep your brain young. Physical activities increase circulation to the brain and promotes cell health. So what set’s ping pong apart from other sports in terms of mental health? Ping Pong is a game of strategy, coordination, and concentration. Dr. Wendy Suzuki explaining why ping pong is the best brain sport. 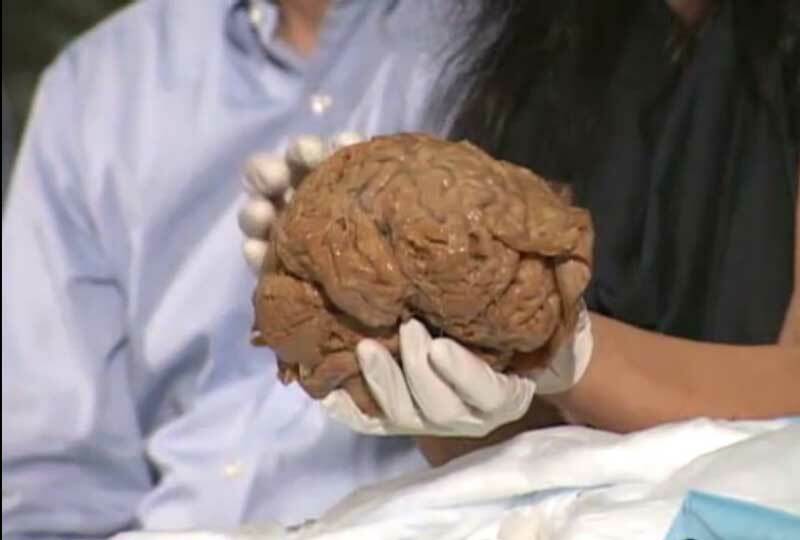 Yes, that’s a real human brain! Watch the full video below. Table tennis requires a developed sense of strategy that is similar to that of Chess. The game starts well before the serve. You study your opponent and learn their tendencies so that your next move becomes a calculated reaction. Noting potential weaknesses, opponents attempt to exploit the Achilles Heel of the opposing player. During an event hosted by The American Museum of Natural History, Wendy Suzuki pointed out the areas of the brain that are roused by playing ping pong. Suzuki, a Professor of Neuroscience and Psychology at New York University, explains that table tennis stimulates parts of the brain that control fine motor skills. Both Dr. Amen and Dr. Suzuki agree that table tennis is the best sport for the brain. Armed with a never failing paddle, table tennis players battle it out blow for blow and shot for shot. The list below explains which specific activities influence each part of the brain. Hippocampus – This part of the brain allows you to formulate and retain long-term information. When heart rate increases, so does stimulation of the hippocampus. Prefrontal Cortex – Stimulated through strategic game plans and matches that require focus. Primary Motor Cortex & Cerebellum – Control hand-eye coordination. Basal Ganglia – Ability to maintain composure. Temporal Lobes – Associated with focus and concentration. 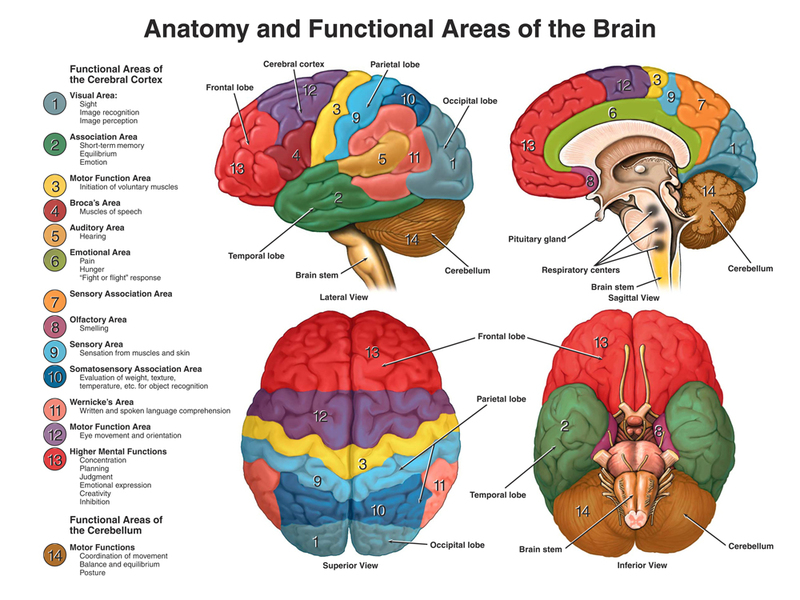 Parts of the Brain and their function. Image via Health Favo. Click to view large image. Ping Pong has proven benefits to mental health and has been used to rehabilitate individuals suffering from Alzheimer’s and dementia. This demanding sport increases blood flow to the brain along with oxygen, nutrients, vitamins, and other essential chemicals that keep the brain healthy. High levels of concentration and attention to detail create a challenging mental exercise for those suffering from these conditions. Ping pong allows patients to exercise the body while simultaneously enhancing thought processes and mental function. In fact, a 1997 imaging study was conducted in Japan to explore the effects of ping pong on brain activity. Results showed that just 15 minutes of table tennis play had demonstrated benefits on the brain. Table tennis has also been shown to enhance reflexes and develop fast twitch muscles in the body that are controlled by the Parietal lobes of the brain. Holocaust survivor Betty Stein, 92, plays ping pong to cope cope with Alzheimer’s. Image via Reuters. Advanced ping pong players learn to train with their primary hand and their weak hand to help develop the brains ability to control muscle function. The left side of the brain controls the right side of the body and vice versa. When you train both hands, you develop the other side of the brain. 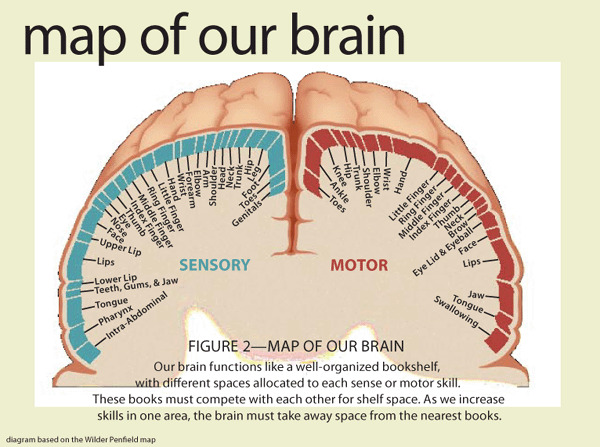 Map of the brain via Answers In Genesis. Hand eye-coordination, aerobic exercise, and the mental capacity required to play ping pong all have play a role in improving cognitive function of the brain. As the ball speeds across the table, players must focus on the minutest details in order to come out victorious. You can miss a return shot in the blink of an eye. China has been known to produce some of the world’s greatest table tennis players. It may be unsurprising to find that most Chinese ping pong players participate in some sort of mental training program in order to master strategy and overall skill. Being able to control your nerves with the adrenaline pumping through your veins is key to surviving an intense match. This ability to maintain composure is directly related to the basal ganglia. Furthermore, the brains temporal lobes help you keep your head in the game when stakes are high. Just a few reasons why table tennis is the best sport for your brain! Who’s up next? Game Tables Online is dedicated to helping you bring your game to the next level. We specialize in billiards, ping pong, foosball tables and more. Visit us today! Come on, you deserve to treat yourself!